MEXICO CITY– The number of people killed in a gas pipeline explosion in the Mexican state of Hidalgo last Friday increased to 93, the Minister of Health Jorge Alcocer said Tuesday. 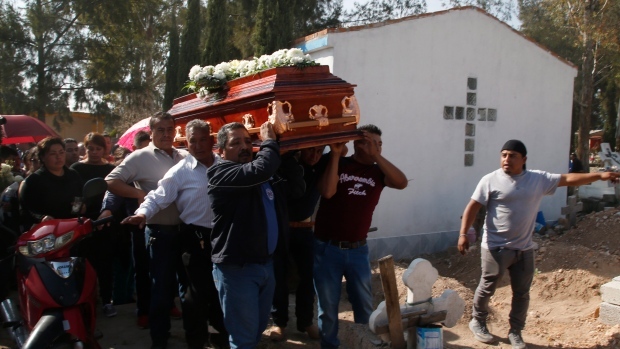 The number of the dead grew due to the severity of burns suffered by the individuals, Alcocer said at a press conference, which was also attended by Mexican President Andres Manuel Lopez Obrador. Another 46 people remain hospitalized including one who is "very grave with a bad prognosis," the minister said. There have been changes in the hospitals and on Monday one more patient was transferred to a specialized burn hospital in Galveston, Texas in the United States, Alcocer said. The explosion and an ensuing blaze occurred at a pipeline spot in the community of San Primitivo in the municipality of Tlahuelilpan at around 7:00 p.m. local time (0100 GMT) on Friday. According to the local government, between 600 and 800 people gathered at the site to collect leaked fuel with containers when the explosion took place. Lopez Obrador said the country's Attorney General (FGR) will be the one handling the investigation into finding those responsible and arresting them.